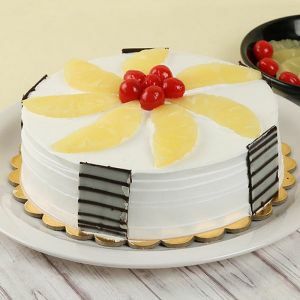 Floralcountry is providing egg less pineapple cake for pure vegetarian in India on cheap and best prices with online delivery. We will deliver your order on the same day if we receive it by 1 PM (time in india) Sunday through Saturday. We deliver only the finest quality of flower arrangements through the best local florists of india.